A regular visitor shares her tips for the best things to do with kids during a short family vacation to Tampa Bay, Florida. While Tampa Bay is a fun-filled family travel destination unto itself – offering beaches, theme parks, aquariums, museums, and more – it is also a worthwhile add-on to your Orlando travel itinerary and it works well in conjunction with a visit to Naples and the rest of southwest Florida. The four of us visit family in Tampa Bay frequently, and have narrowed down our list of favorite, “must-see” attractions. If you only have three days to spend in Tampa Bay –which includes the City of Tampa, St. Petersburg, Clearwater, and several smaller beach communities — make time for these stops. Make relaxation the first order of business, and head to the beaches of St. Petersburg or Clearwater. The soft white sand and sparkling, calm blue waters of the Gulf of Mexico consistently keep them on “Dr. Beach’s” annual “Best Beach” list. Our favorite beach is Fort De Soto Park Beach in Tierra Verde, because of its cleanliness, shady patches and clear water. The North Beach section near the Arrowhead Picnic Area is shallow and ideal for small children. The beach is shaded by palm and pine trees. There’s a snack bar offering basics like hot dogs and soda, and clean public restrooms with showers. Other good options are St. Pete Beach and Caladesi Island. Accessing St. Pete Beach involves finding a parking space, feeding a meter, and carrying all your gear to the beach. The payoff is sparkling clear water, and soft, white sand. Beach chairs and umbrellas are available for rent, and playgrounds sit directly on the beach. Caladesi Island was named America’s Best Beach in 2008, and is actually a state park, accessible only by ferry service. In the late afternoon, head over to Pier 60, the center of activity on Clearwater Beach. There’s a huge covered playground, shopping, and concession stands. The Beach Walk promenade is designed for bicyclists, skaters and pedestrians. You’ll find activities like parasailing, jet skis, aqua bikes, and paddle boats. If you have time to get out on the water, several dolphin tour boats depart from the municipal marina across the street, like the Little Toot, the Sea Screamer (the world’s largest speed boat), or Captain Memo’s Original Pirate Cruise. On this pirate ship replica, a spirited crew leads passengers on treasure hunts, limbo dances, and games with water guns and hula hoops. While you may get a glimpse of sharks, rays, and manatees, most tours guarantee you will at least see dolphins. Sundown is celebrated every night at the Sunset at Pier 60 festivals. The entertainment includes magicians, balloon artists, fire eaters, stilt walkers, living statues, escape artists, break dancers, performing pets, and jugglers. A day of indoor fun at a museum or aquarium offers a respite from the sun and heat, and is a smart option for a rainy day. The only challenge is choosing from several great options. 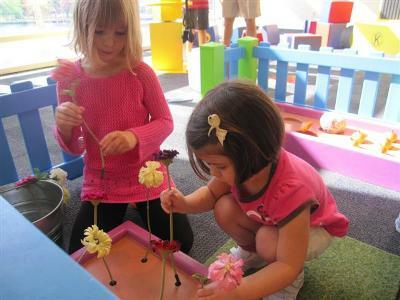 The new Glazer Children’s Museum and the Museum of Science and Industry (MOSI) both offer scores of completely hands-on, interactive exhibits. We spend most of our time at Glazer on the first floor, playing in KidsPort. This expansive, waist-high water table lets kids manipulate shipping channels and work with tides to move boats, among other fun activities. The second floor offers diverse experiences based mainly on themes of technology and engineering. At MOSI, the focus is on science, with a planetarium, IMAX theater, and exhibits covering weather, space, and health. The Florida Aquarium, home to over 20,000 aquatic plants and animals from around the world, features several floors of activities and exhibits, as well as a two-acre outdoor water park, Explore A Shore. Our favorite attractions: the Coral Reefs Gallery, a tunnel walk-through aquarium; the “Penguin Promenade;” and the Coral Reef Dive Show. Save the best for last — the outdoor water park. 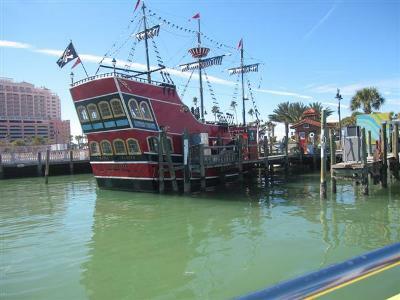 The main event here is a two-story pirate ship with water cannons, surrounded by bubbling fountains and misters. Rather than just going to a restaurant for dinner, make it an experience. We all enjoy noshing lane-side at Splitsville Luxury Lanes and Dinner Lounge, an upscale bowling alley in the Channelside entertainment complex. Take a family photo in front of the world’s largest bowling pin sitting in front! Older kids will enjoy the live flamenco show at The Columbia Restaurant in Ybor City, the Cuban historical district which serves authentic Latin cuisine. In Tampa, there are three attractions where the focus is on learning about wild and exotic animals in their natural habitats. Regardless of which you choose, plan your visit for the early morning, when the animals are most active. 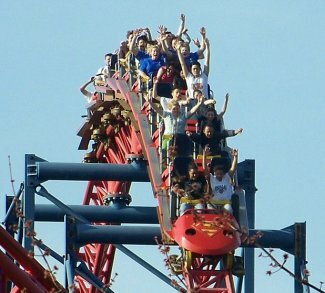 Busch Gardens Africa is a major theme park, requiring a full day to cover all eight sections. The expansive wild animal habitats include the Edge of Africa, Myombi Reserve, the Serengeti Plain, Bird Gardens and Clydesdale Hamlet. The Lory Landing, a “free flight” aviary, enchanted my son, as did an up close encounter with a flamingo as tall as he was. 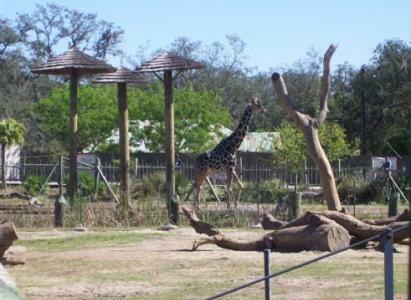 Lowry Park Zoo was rated the country’s top kid-friendly zoo, and it’s easy to see why. The animal habitat viewing areas are designed to make it easy for kids to get a good view. There are ample locations for them to get up close, including the Lorikeet Landing, Wallaroo Petting Zoo, and Stingray Bay. The hot spot for pre-schoolers is the Wallaroo Station Children’s Zoo, which recreates an Australian outback. There are just enough rides throughout the zoo spaced between the animal exhibits, like the “Gator Falls” flume and “Tasmanian Tiger” coaster, Treetop Skyfari, Jungle Carousel and the Safari Ride tram. Finally, the Big Cat Rescue is the world’s largest big cat sanctuary, and home to more than 100 lions, tigers, leopards, jaguars, and cheetahs. There’s a lot of walking involved. A 45-minute guided tour gives you close-up views of the habitats, then you’re free to roam around some of the areas yourself. Animals can be “adopted” for a fee, for which you get a certificate to take home! Traci L. Suppa is a road trippin’ mom. 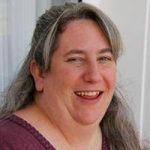 She drags her small-town family to see a quirky array of the “world’s largest” attractions, and blogs about it at Go BIG or Go Home. Follow her on Twitter at @GoBIG_GoHome.